DEAR DIARY, something’s disturbing me and I’m not sure what. He’s on a long leash due to Jewry’s grasp of the restive mood of white, middle Americans and will barely allow him to initiate his anti-immigration plans, jobs policies, and a few other bones thrown to the goys. And, how does Trump’s conciliatory approach to Putin and Russia play into it? Jewry is allowing Trump to “talk” with Putin about fighting Isis and Islamic terrorism. That’s all the Jews will allow since Trump’s “Islamic terror” rant can be used by pointing to those “hateful” Palestinians as justification for the annexation of Gaza and the West Bank and the annihilation of its molested residents either by genocide or expulsion. 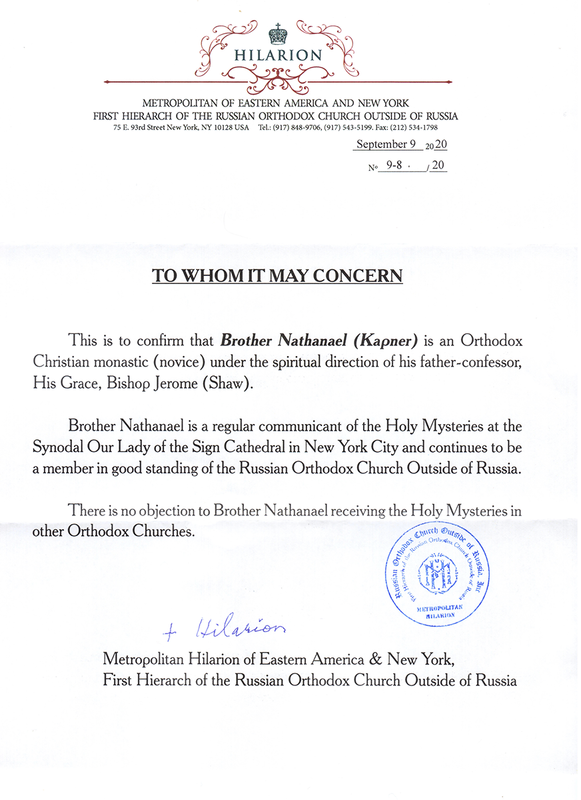 Jewry fears Russia with its emerging Orthodox Church and its global influence. Thus, it will not countenance a detente with that nuclear-armed nation allied with Iran and China. Jewry must eliminate Iran as a Middle East power along with Syria and Lebanon since this “Axis of Resistance” obstructs Israel’s hegemony in the Middle East. And Russia is an external player in this Jew-targeted axis due to its role and military bases in Syria. IT’S ALL A JEWISH SHOW, a media event (the staged enmity between it and Trump to deflect the goys from the JEWish elephant in the living room), with everyone thinking that a “new paradigm” is in place that the media opposes. If Israel was created as a “homeland” for the Jews, why aren’t Jews moving there en masse yet are still supporting it through bribing and blackmailing political hacks in DC? As a ‘wayward’ Jew—(I rejected Judaism and am now an Orthodox Christian)—I know the answer, having grown up in an upper-middle class synagogue. A Jewish “state” confers legitimacy on a national military equipped with nukes. A Jewish “state” brings its embassies, spies, trade deals, and intelligence and military symbiosis with other countries. Moles can be visibly placed in strategic positions such as Jared Kushner now a permanent fixture in the Oval Office whose fondness for Israel supplants devotion to America. And so, dear diary, I’ve fleshed it out. I’m still disturbed, bothered…but not bewildered. If you LIKE Articles and Videos please help! January 24-28: Summit County CO, Ski Central!/HUGE Success! Trump is simply another loyal slave to Israel. The Democrat Party is controlled by atheist Marxist Jews & the Republican by religious Talmudic Jews. So either way the gullible gentiles lose & Jews win. But Trump is just the latest front man for the Zionists sitting at his table as ‘advisers’. Obama’s promise as POTUS came to nought Day1 when Israeli Rahm Emmanuel was put in charge of the White House. As for Bush he was guided into war by his neo-con Israeli cabinet which fed him concocted “intelligence’. Ultimately democracy in the US has won! Donald Trump was the best Republican candidate, the others would have been even more subservient to the toad-like Adelmans. Hillary was already in their pocket having STOLEN the democratic candidacy. Let us cross our fingers that Putin can advise Trump better than his ‘experts’ will. Thank you for reminding us that a country can overcome many things but not the traitors from within. As you well know, we are admonished in The Word of God to make a decisive distinction between A LIE and The TRUTH. Satan will with All Cunning Deception use the egotistical/superior thinking mind-set of the Jews to accomplish his purposes of World Subjection under the Antichrist! Keep exposing the “False Flags” used to deceive The Nations. We wrestle not with flesh & blood. The Prophet Jeremiah is a good example of a Man called of God who spoke The TRUTH in the midst of spiritual & moral perversion. We must do the same regardless of the opposition! We Love You, Pray for You, and Support you with our funds! Dear Brother give it some time. DT is playing a double game here. I appreciate he has surrounded himself with some questionable characters but he is getting the best advice from the ‘highest source’ so watch the actions rather than the personnel. He is the right man for the times as troubled as they may be..
Bro Nat, I respectfully disagree with your analysis. President Trump’s Holocaust Remembrance Day address was a departure, and some, from that of any of his predecessors, for unlike any of them, he committed three cardinal sins, but these of omission, and all within those otherwise appropriately brief sombre words. He carefully omitted mention of Jews, the 6,000,000, and anti Semitism. Jews he has plenty of all about, and by his design, but policy is his, and his alone, bending as it must, here and there, to the exigencies of the real world, with no genuflection to Jewish power just because it is Jewish. Being a masterful minnow in a sea of sharks, adroitly having avoided becoming a tasty morsel for any of them over the previous three decades when they first became aware of his potential, doubtless will hold him - and the people of America, in good stead over the coming 8 years. Ahh Michael Mazur I like your mind. It has inspired a bit of hope. I don’t know what Trump will do but he is really stirring the pot. I only hope his personal security is good until we see where he is headed. The real cause for your unease is that the Jews are becoming too obvious and arrogant and risk becoming seen as being equal to or more dangerous than the so called Muslim extremists. Imagine the day when Trump or his successor and a significant number of Americans come to the conclusion that anyone who is not straight, genuinely white European and Christian is an enemy of America and the white race and has to go either on their feet or feet first no matter what the cost. All it would take is a full understanding and acceptance of the truth about what has gone on in the world and who really is responsible for it. Then things can get real ugly very quickly. Jews should have been more discrete and more ethical. Zionists/Jews stick themselves into every issue. In this case it is Trump’s recent edict about “refugees” from certain Muslim countries. They push the open door to self-destruction every way they can but mostly to further empower themselves. It’s like La Raza (”the People”). They’ll push for more power for the Central/South American “migrants” but they never seem to push for more millions from India or China who could certainly spare some of their poor. Nor does La Raza push for improved conditions and higher pay for these people so they don’t need to migrate in the first place. Moreover, why can’t I use the “refugee” reason to “migrate” to Canada or Iceland? Oh yeah, those two actually have immigration laws that require immigrants to have strong skillsets, a native spouse, or set up a business that hires people. The US and other Western states have laws pushed on them that sacrifices the welfare of their own citizens. Trump will not cut the strings of his obvious puppeteers. He may stretch them a little like Obama did but probably not as much … as ignoring the US mandate to veto every UN resolution against Israel. In fact, it’s been funny to see someone push the Get the US out of the UN thing (again) because one of their reasons was the very same resolution against Israel. Absolutely right on the money Brother Nathanael! Trump is throwing a few crumbs to the white goys in America. But, that is all that they will get. Trump is a slave to his Jewish masters and will ultimately serve them or face the consequences. So many Americans are thinking that Trump is going to be some type of “Cyrus” figure for America. Nothing could be further from the truth! As times passes, the truth will become more and more evident to these people who are falsely believing that Trump is really in office to help America. He is in office to help Israel and world Jewry. Why do so many so-called “Christians” still not understand this? Why do they insist that America is special, and that God is going to use Trump to save their country? All of those naive children are going to be in for a very rude awakening. It will be well deserved because they are putting their trust in a man who has never asked God for forgiveness - and that fact comes from his own mouth. Do you really think that anything good can come from a man who despises God’s Word so much that he can not even quote a single verse of it from memory? Wake the heck up people and smell the coffee. Please! What type of fruit do you think Trump will bring? WAKE UP!! America first or Israel Defense Forces first? I really have a good feeling about Trump. It’s sad to see him surrounded by the usual scum, but I think those who suggest that Trump is playing a very savvy game may very well be correct. If you think about it, there is no way a ‘kind soul’ could ever make it into the White House in our current paradigm. The only way to have a chance at saving the sinking ship, is to elect a ‘kind of a good guy’, someone who is still a player, but will push us away from the cliff. The other option is someone who seems to be a player on the surface, but is secretly that once in a century (or longer), political savior. This person plays the game so well that he keeps the bad guys off balance, even fooling them sometimes. After all, if the bad guys can do exactly that to the good guys, where is it written that we can’t do the same to them? Infiltration is only a one way street? I don’t think so. You understand perfectly, but unfortunately you have many on your comment boards who are trying to dissuade you that “Trump needs time”. No way, Bro. He is moving fast. Please remember last Sunday, Jan 22, his conversation with the visible head of the snake, Netanyahu. Thereafter, Netanyahu announced 1500 new settlements and set a time frame on moving the embassy. Trump immediately approved and formed a committee to plan the moving of the embassy. And not a word, a peep, nothing from the MSMs, of which I’m afraid these commenters are listening to way too much. Even the supposedly “alt-media” is covering for this coward Trump. How did he dodge the draft for Viet Nam? Gee, I wonder. Trump reminds me of Hitler’s role as a Zionist pawn. He prevented the Communist Jews from taking over Europe and making Moscow the world center, but threw all the anti Zionist Jews into the slave labor camps and sent the rich Zionist Jews to Palestine to establish Israel as the world center! Trump beat back the Obama-Clinton Communist Jews but by doing so has become a tool of the Zionists and their desire to overthrow any Arab rule in the Middle East for “Greater Israel”. Talmudic Judaism is the Egyptian/Babylonian 2 headed snake. It’s my belief that “Torah True” Jews as well as true Christians are akin to the ancient Hebrew prophets and shall be protected by the Lord when the anti Christ arises. With the Federal Reserve Act of 1913, how will we ever stand a chance at gaining our freedom back? If Trump can repeal this with a pen, would we stand a chance then, and can that be done with a pen? Hillary Clinton….Remember her, the other possible President? The support for Israel and upcoming collapse, devastation, and outcome would be the same if she was elected. Be nice if people would stop talking Trump and “his policies” and start mentioning the names that are actually making the decisions. The Western media coverage of Syria is according to Father Daniël Maes the greatest media lie of our time. “The idea that a popular uprising took place against President Assad is completely false. “I’ve been in Qara since 2010 and I have seen with my own eyes how agitators from outside Syria organized protests against the government and recruited young people. That was filmed and aired by Al Jazeera to give the impression that a rebellion was taking place. Murders were committed by foreign terrorists, against the Sunni and Christian communities, in an effort to sow religious and ethnic discord among the Syrian people. “While in my experience, the Syrian people were actually very united. If you were a journalist in Libya during this time you were relatively safe; not because these animals respected journalists as neutral observers, but because the journalists were on their side. The Moriartys have evidence of embedded journalists, not least from Qatar-owned Al Jazeera, whose staff were among the terrorists from day one, personally calling in airstrikes and working side-by-side with the terrorists. Interviewer: Sister Agnès-Mariam, the Lebanese-French prioress of your Mar Yakub (”Saint Jacob”) monastery, is accused of siding with the regime. She has friends at the highest level. Father Daniel: “Sister Agnès-Mariam helps the population: she has recently opened a soup kitchen in Aleppo, where 25,000 meals are prepared five times a week. Look, it is miraculous that we are still alive. We owe that to the army of Assad’s government and to Vladimir Putin, because he decided to intervene when the rebels threatened to take power. “When thousands of terrorists settled in Qara, we became afraid for our lives. They came from the Gulf States, Saudi Arabia, Europe, Turkey, Libya, there were many Chechens. “Often, they were drugged, they fought each other, in the evening they fired randomly. We had to hide in the crypts of the monastery for a long time. Father Daniel: “Do you not know that the media coverage on Syria is the biggest media lie of our time? They have sold pure nonsense about Assad: It was actually the rebels who plundered and killed. “Saudi Arabia and Qatar want to establish a Sunni state in Syria, without religious freedom. Therefore, Assad must go. You know, when the Syrian army was preparing for the battle in Aleppo, Muslim soldiers came to me to be blessed. Between ordinary Muslims and Christians, there is no problem. Father Daniel: “I am happy with Trump. He sees what every normal person understands: That the United States should stop undermining countries which possess natural resources. “The Americans’ attempt to impose a unipolar world is the biggest problem. Trump understands that radical Islam is a bigger threat than Russia. Father Daniel: “I speak from personal observation. And no one has to believe me, right? Comment: This article has been translated by SOTT.net. Original article can be found here. Note: Al Jazeera, also known as JSC (Jazeera Satellite Channel), is a Doha-based state-funded broadcaster owned by the Al Jazeera Media Network, which is partly funded by the House of Thani, the ruling family of Qatar. As we know from the leaked Clinton emails, Saudi Arabia and Qatar were/are providing clandestine financial and logistic support to ISIL and other radical Sunni groups in the region in the Iraq/Syria battle space. And the once Holy Land is held hostage by evil Jewry! But it will change - there will be a gaffe! Trump isn’t dumb, he’s deceived and it will take a little time for a person with his ego to accept that he’s been WRONG & LIED to regarding ALL evil Jews & their Jewry. @Brother Nathanael Kapner, can you “explain” why the Orange Calf Idol did not put Saudi Arabia on his vetting/banning list? During his campaign he ranted against Saudi Arabia accusing the country of being behind 9/11, and Saudi Arabia is known for exporting tons of Terrorists! Conservatives keep lying that illegal immigrants only come to the US because of freebies and pay no taxes when in fact they pay 10-12 billion!!! As an atheist, I can say that Christians themselves corroborate the fact that religion is nothing more than social-political tool(trick) that pseudo-Christians and politicians exploit when it is convenient. That is how natural selection works! Calling Trump racist is ambiguous, and I am not saying that Putin is Stalin 2.0, but seems that history is repeating, Hitler pampered Stalin at the beginning, but later stabbed him in the back… I am sure Trump will stab Putin on Syria. Beware the leaven of Jared Kushner. Who forces Gentile elites to intermarry with Jews? Why do people like Ivanka Trump, Karenna Gore and Alex Jones decide to get entangled with them?? There are thousands of wealthy Gentile men Ivanka Trump could have married but for some reason went with the faggy looking Jew Kushner. In fact most Jews are adamant that people of their own race don’t intermarry with non-Jews, so as to perpetuate their Jewish identity on future generations. However a few Jews here and there intermarrying with Gentile elites ensures that they have continued access to political power. If all Jews everywhere decided to intermarry the Jewish problem would solve itself as this race mixing would eliminate most of the Jewish race characteristics from future generations. I support Trump 100 percent, he is my go-to guy for personal freedom in this millennium. I will be sending a nominal donation soon, thank you for all you do. Is this a tongue twister, dear Steven, or just throwing more BS on the Jewish problem in America? This is IMMENSE power that World Jewry now wields with their Jewish state. Not only does Jewry own the central banks, and control the MSM in ALL Western countries, but with their OWN STATE have diplomatic credentials to foresee, subvert, infiltrate and manipulate sovereign countries’ foreign and domestic policies. This is a HUGE threat to Jewmerica and its vassals throughout Europe. Jews want TOTAL POWER and are close to getting TOTAL WORLD POWER now that they have the OWN STATE. IsraHell is NOT a “homeland” for the Jews BUT an organ of massive global influence and control. And with Jared Kushner IN THE OVAL OFFICE, World Jewry has a very VISIBLE MOLE and MANIPULATOR to achieve its evil ends. Now are you implying that only the white race has any genuinely good people? I have in the past visited a web site where they actually believe only pure white people (like me….haw haw I’m in!) have souls and can find salvation through Jesus. Personally I have seen evidence in my short life of 58 years that there are a few genuinely good people amongst any race, and as such could never be an enemy of those who walk with God. Put your Crack-Pipe down and watch a video on YouTube. Its title is “Trump is the Swamp”. You must watch about 5-10 minutes in, when you’ll see all of the influences upon Trump. If you watch the video it is clear proof that this country is run by Ashkenazi Jews every which way you turn. They all backed your boy Trump, and the goys are just the toys for four more years. They fooled you once again, and again, and again. They made you believe he was at a war with the very same media that secretly funded him. It was all a show to convince the American population he was all for them. Gee…this sounds really familar. Obama anyone? The difference is Trump is much more dangerous than Obama. It seems Obama tried to resist some of the Jew influence. Get in for a ride folks. It’s all Jews all the time, and it will be for a long time as long as people don’t think it exist or is a problem! Trump gives Pentagon 30 days to develop strategy to defeat ISIS in Iraq & Syria. US President Donald Trump has signed an executive order calling for the Pentagon to submit a plan for the defeat of Daesh to him in the next 30 days. This should prove Donald Trump as being Putin’s “puppet,” according to the Fake News media protocol. Surely, they all need to keep up with the new work ethic at the White House. Very good post, as usual! 1) A Jewish “state” confers legitimacy on a national military equipped with nukes. 2) A Jewish “state” brings its embassies, spies, trade deals, and intelligence and military symbiosis with other countries. Most of your readers did NOT get what you wrote!!! There is nothing more depressing than those who do NOT want to SEE! Therefore, and looking at the TWO critical points you mentioned, what is MOST appropriate for the Zionist Jews than placing a member of the tribe of ZION in the presidency of the USA? After all, some say that Trump is another marrano, crypto-Jew. 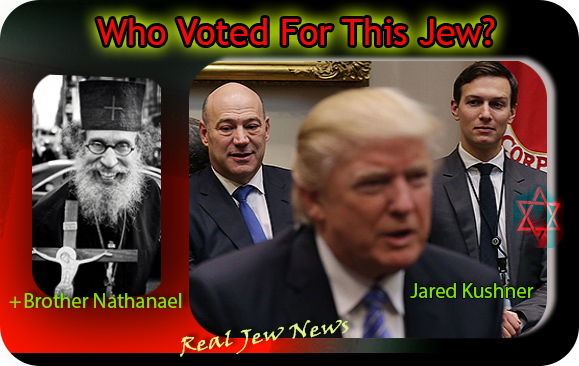 So, why would anybody be surprised that Judafied Donald DRUMPF, is surrounding himself with all his Jewish BUDDIES? Why would anyone be surprised that everything he does and will do will benefit the members of HIS adopted Jewish tribe? And that includes him doing whatever is necessary to support the TWO critical points you mentioned in your post! It brings to mind the BOLSHE revolution in Russia — financed by Rothschild and Co.,and which resulted in ONE of the REAL Holocausts, the extermination of tens of millions of the members of your Church, the ORTHODOX CHRISTIANS. Have NO doubts about it, Trump owes his billions, NOT to any brilliant mind as he wants us to believe, but to his Jewish brothers who helped him obtain fame and fortune. And now, it is PAYBACK TIME for donald Drumpf, the Zionist near-Jew! Another great post, Brother Nathanael. Recall that as recently as last year, hundreds of global industrialists attended the business conference in St. Petersburg, where they expressed their collective desire to end all wars of destruction in favor of a more peaceful and abundant future for all. Russian Direct Investment Fund CEO Kirill Dmitriev said that the results of a Saturday phone conversation between Russian President Vladimir Putin and his US counterpart Donald Trump are a positive signal for business and investors and show a possibility to restore cooperation. That Video, “Trump is the Swamp,” cites people in Trump’s orbit that are NOT Jews. For instance, Wilbur Ross, Trump’s pick for Commerce, is NOT a Jew. The man who posted the Video needs to do his homework. (He’s a Gentile, and for the most part cannot smell out a Jew like I can. I can spot a Jew just by the way he walks.) AND - I nail down ALL my assertions. Saint Isaac’s Cathedral or Isaakievskiy Soborin Saint Petersburg, Russia, is the largest Russian Orthodox cathedral (sobor) in the city. It is the largest orthodox basilica and the fourth largest (by the volume under the cupola) cathedral in the world. It is dedicated to Saint Isaac of Dalmatia, a patron saint of Peter the Great, who had been born on the feast day of that saint. The cathedral took 40 years to construct from 1818 to 1858. To secure the construction, the cathedral’s foundation was strengthened by driving 25,000 piles into the fenland of Saint Petersburg. Innovative methods were created to erect the giant columns of the portico. The construction costs of the cathedral totalled an incredible sum of 1 000 000 gold rubles. There was never a doubt that St. Isaac’s was, and is, a Russian Orthodox Cathedral. Under the Soviet government, the building was stripped of religious trappings. In 1931, it was turned into the Museum of the History of Religion and Atheism, the dove sculpture [symbolizing the Holy Spirit] was removed, and replaced by a Foucault pendulum. On April 12, 1931, the first public demonstration of the Foucault pendulum was held to visualize Copernicus’s theory. In 1937, the museum was transformed into the museum of the Cathedral, and former collections were transferred to the Museum of the History of Religion (located in the Kazan Cathedral). On January 10th 2017 Georgy Poltavchenko, the Governor of St. Petersburg, announced that the Cathedral would be transferred to the Russian Orthodox Church. Then the protests started over the transfer of the Russian Orthodox Cathedral back to ahem, the Russian Orthodox Church, the rightful owner, after it had been appropriated by the Bolsheviks some 70 years ago, winding up in the possession of the City of St Petersburg as a city/state museum of culture property. Another part of this concerns the Pale of the Settlement being brought into the story. The Pale of Settlement included much of present-day Latvia and Lithuania (Baltic states); Belarus, Ukraine, Moldova, and Poland (East-Central Europe); and parts of western Russia. It extended from the eastern pale, or demarcation line, to the western Russian border with the Kingdom of Prussia (later the German Empire) and with Imperial Austria-Hungary. Furthermore, it comprised about 20% of the territory of European Russia and largely corresponded to historical borders of the former Polish–Lithuanian Commonwealth and the Crimean Khanate. The Russian Empire in the period of the existence of the Pale was predominantly Orthodox Christian. The area included in the Pale, with its large Jewish and Catholic populations, was acquired through a series of military conquests and diplomatic maneuvers, between 1791 and 1835. Commenting on the public bruhaha at a press conference, Tolstoy said that people who collect signatures for a petition against the St. Isaac’s Cathedral being transferred to the Russian Orthodox Church was a waste of time, (the petition was signed by more than 190 thousand people), and that the temple will still be given back to the Church. Tolstoy also called opponents of the transfer of the Sobor of the ROC “grandchildren of immigrants from the Pale” (the area within which it was permitted for Jews to live in the Russian Empire). “Watching the protests surrounding the transfer of Isaac, I can’t help but notice a strange paradox: the people who are the grandchildren and great grandchildren of those who demolished our temples, jumped up from the pale of settlement with a revolver in 17-m to year, – today their grandchildren, working in a variety of other very reputable places – on the radio, in the legislatures, – continue the work of their grandfathers and great-grandfathers,” said Tolstoy. If the shoe fits, foolish Jews, then wear it. The Pale of the Settlement wasn’t just Jews, you stupid, selfish, carping, egocentric neurotics of the Tribe. The Pale included Poles, Latvians, Lithuanians, Cossacks/Ukrainians, Red Rusyn, Moldavians, and Belarusians, Tatars, as well as millions of Jews living in Juderias, particularly that of Poland-Lithuania-and the Ukraine, in the shtetls, towns, and cities. The Pale occupied a territory roughly corresponding in size to approximately 1/3 of the continental US, and so, it’s not like there were millions of you Jews packed cheek by jowl into an open air prison on the scale of the Gaza Strip. At 25 miles long by 5 miles wide, super-imposed on Jew York City, Gaza easily fits in beneath Yonkers to the north, Long Beach to the east and south and Staten Island and Elizabeth to the west. The Pale was the hotbed of Communist and Zionist, and allied partisan and revolutionary movements and civil unrest among a number of ethnicities in the Pale. Pyotr Tolstoy, deputy speaker of Russia’s parliament, is involved in a verbal spat over St Isaac’s Cathedral. Jewish leaders in Russia have accused the country’s parliamentary deputy speaker of anti-Semitism over his comments which they say insinuate that Russian Jews are trying to destroy St Petersburg’s biggest Orthodox cathedral. Pyotr Tolstoy, who is the great grandson of the writer Leo Tolstoy, was questioned about the protests after a petition of 200,000 signatures opposed the transfer of St Isaac’s Cathedral from the Russian state to the Russian Orthodox Church. The transfer would finally return to the Church the iconic cathedral, which was seized by the Communist Party after the Russian revolution in 1917 and is a key tourist attraction in the country’s second city. But opponents fear the switch will make it less accessible to the public. The Pale of Settlement was an area of western imperial Russia where Ashkenazi Jews were allowed to settle. [”Allowed to settle”? Jews had lived in the Pale for over 900 years. Russian Poland was the heartland of the “Paradise Iudaeorum”. Between the 16th and 18th centuries, the Jews entered into what may be described as a marriage of convenience with the nobility. Jewish leaders said Tolstoy’s comments propagated the anti-Semitic conspiracy theory that there was Jewish involvement in the revolution to destroy Russia. The Russian Federation of Jewish Communities (FJC) has called on the country’s parliament, the Duma, to take action. FJC president, Alexander Boroda said Tolstoy’s words were part of the “same old, false anti-Semitic myth, whose obvious deceitful nature is clear to any educated person”. “When we hear these kinds of words from the State Duma deputy speaker at an official press conference, it directly undermines inter-ethnic peace in the country and stirs up tension,” he told news agency RIA. Tolstoy then responded by denying he was anti-Semitic and said those criticising him, wanted to cause a national rift, “did not know the history of the country” and wanted to introduce division into debate “along nationalist lines”. Duma speaker Vycheslav Volodin said he was ready to discuss the controversy with the FJC and that any verbal attacks that cause offense were unacceptable. “Statements should always be made carefully and under no circumstances descend to an attack that offend a particular nationality or people,” Volodin cautioned according to a news agency TASS report. On June 17, 2013, Russian president Vladimir Putin told a Jewish gathering at Moscow Jewish Museum that 80 to 85% of the first Soviet government members were Jewish. The Orthodox Russia was systematically destroyed the Jewish led Bolshevik Revolution, replacing Orthodox Christian monarchy with militant atheist Communism, during which upwards of 66 million Russian Christians perished, many in in the gulags run by the Cheka Jews. In January 2016, Putin denounced Soviet founder Lenin of murdering Nicholas II, the last Romanov Tsar along with his Royal Family and servants. “And us, the Jews? An Israeli student finishes high school without ever hearing the name “Genrikh Yagoda,” the greatest Jewish murderer of the 20th Century, the GPU’s deputy commander and the founder and commander of the NKVD. “Yagoda diligently implemented Stalin’s collectivization orders and is responsible for the deaths of at least 10 million people. His Jewish deputies established and managed the Gulag system. After Stalin no longer viewed him favorably, Yagoda was demoted and executed, and was replaced as chief hangman in 1936 by Yezhov, the “bloodthirsty dwarf.”"
Jews were 80-85% of the early Soviet government, but there were other ethnicities besides Jews among the revolutionary mobs of the Pale — and the mobs were largely led by Jews. In the context that Tolstoy was speaking, he was effectively saying that the grand-children and great-grandchildren of the revolutionaries that burst out of the Pale and appropriated St. Isaac Cathedral as state property were the ones now protesting the transfer of the cathedral back to Church hands. But noooo. Tolstoy was not making an observation about all of the protesters, he, the vicious anti-Semite, was picking on just the Jews. Leave it to the Jews, it has to be about the Jews. The sun comes up for the Jews. The sun goes down for the Jews. The world revolves around the Jews, the Gentiles were made serve the Jews. The Jews created God in their own image just for the Jews, and He’s a rabbi just like them. “What’s mine is mine, and what’s yours is mine,” sayeth the Jew. Protesters rallied in St. Petersburg on Saturday against plans by city authorities to give a landmark cathedral to the Russian Orthodox Church amid an increasingly passionate debate over the relationship between the church and the Russian state. “We won’t give St. Isaac’s to the Church. We want to save it as a museum,” Boris Vishnevsky [appears to be a Jew], a local lawmaker, told protesters in central St. Petersburg. St. Isaac’s, one of the most visited tourist sites in Russia’s old imperial capital, has been a museum since 1917. The rally Saturday by more than 2,000 people was significantly larger than a similar demonstration by several hundred people earlier this month. A few dozen counterprotesters gathered in the same place to support the plans. “The return of the cathedral to the Church is a return to our national roots,” said Yelena Semyonova, a 52-year-old professor. The announcement this month that the neoclassical St. Isaac’s Cathedral will be put under Orthodox Church ownership has sparked a backlash from city residents. More than 200,000 people have signed an online petition calling on the city authorities to reconsider. Prominent cultural figures, including the director of St. Petersburg’s world-renowned Hermitage Museum, have criticized the decision. The handover has been seen as indicative of the growing power of the Orthodox Church and part of a trend of social conservatism in Russia, where President Vladimir Putin has appealed to traditional values as opposed to Western liberalism to help tighten his grip on society. Why would converted Trump care about jobs for goys in coal country and elsewhere in America? Why would converted Trump care about illegal immigrants murdering innocent American goys? Why would converted Trump defame and discredit the (Jew) controlled media? Why would converted Trump believe that peace with Orthodox Putin is preferential for America? Why would converted Trump care about how American veterans (goys) are treated after returning from combat? Why would converted Trump be pro-life (mostly goy babies)? Why would converted Trump bother attending a Christian Church? Why will converted Trumps temporary refugee immigration ban protect Christians? Etc. Etc. Note that in all of the above circumstances physical change is underway. The election was Hillary’s. It was a done deal until Trump showed up. Why stop that? Why upset the Satanic apple cart? Did the Zionist Jews simply outsmart the Globalist (New World Order) Jews when they realized they had a winner in their stable from day one. Was it the hand of an even higher power than Satan’s or is that the highest card in the deck for suffering mankind? I am glad that Trump deliberately did not include the jews or the bogus 6 Million figure in his holocaust memorial statement. Pathological liars like humourless Wolf Blitzer and Christianne Anampour with plant all the disinformation the jew Boys Need to feel sorry for themselves. Thank you for your postings. I read every one. You write the truth. Thank you. I don’t think Trump is loyal to the Jews and Israel. As we all know how strong they are, so Trump has to deal with them in a very strategic way. He simply can’t confront the entire Jewish Cabal. It’ll take time. Trump is a very smart man. He has to play nice and act like he’s one of them. You see how he’s allowing the Christians to come into the US but not the Muslims. I believe Trump is the only man that can make America truly sovereign again. No doubt about it. In other words, you agree with what Hitler said about the then-aspiring state of Israel, that it was nothing more than a haven for Jewish criminals, once they were exposed within the various countries they reside(d) in. Other people have since made the same observation and said the same thing. I am not a fan of Hitler, mainly because I recognize him as having been a German extreme nationalist, to the detriment of non-German Europeans, but I do recognize that he had the Jews figured out pretty well. No More Jew World Order Scams. Today I received this and this made me very alarmed…. these are Jewish messianic “believers”! @hanna, I’ve been watching him. A few things set off red flags. One he ascended some hill with an altar to Satan on the top where he claims he accepted Christ. He presided over a lackadaisical communion rite on the Jim Bakker show where everyone at their own tables used their bread and grape juice to administer the rite to themselves. He didn’t issue the warning of St. Paul about discerning the body and confessing one’s sins so as not to receive unworthily. I watched a lot of videos before I noticed these things. He does seem like he could be under God’s guidance and is expert in Hebrew which gives him his ability to explain the Old Testament (which I don’t know if his interpretations are valid or not). He does allude to the New Testament now and then, but his emphasis seems more on the Old. Right before the election, he assured Trump voters that it was better to vote for him than pro-abortion Hillary. But he doesn’t say much about other serious lapses that have become national sins such as gay marriage/behavior and now the glorification of trans-genderism. May God forgive me if I have been unfair in my appraisal of him. On a different note, I’ve been agonizing about why so many who claim to be Christians and attend church, sometimes faithfully, engage in fornication with Christian girls, regularly and seemingly without guilt. It’s like they have a blind eye to what Christ says about it or they believe they are exceptions, are saved, and don’t have to worry about it. And I know there are a lot more sins than just fornication. I do believe (as you) that Trump went through a type of conversion. I would however call it a “join the brotherhood or else membership.” The extent and depth of fraternity questionable to many thus far. Membership does have its rewards. There is (as you say) no other way to achieve big league success in N.Y. real estate. Kushner certainly knows one thing. If America goes down Israel goes down even harder. At the end of the day, Trump will be loyal to his three eldest children and their Jewish entanglements, especially of his daughter Ivanka of whom he seems to be so proud. There’s more than just pride involved, not sure why she and her husband have such a hold on her father. I don’t believe he is that independent in his thinking and is woefully lacking in any kind of knowledge that comes from a book to give him a better historical perspective on things. That is what I see now. And it’s a real rabbit hole to embark on the journey to sort through the whole mess in Israel, what led up to it, many wrongs on both sides. Can’t say I yet have a good handle on it, just know that they are only our friends to the extent of what we can do for them and what benefits them. They were not there for us in time of need on 9/11, were spying on us, and nothing has really changed. As for Muslims, what have they contributed to the betterment of American life and not just their own self-interests? There are some who seem capable of critical, objective thinking, they are in the extreme minority or afraid to speak their minds. And not everything about all of them is bad, just that the more they take over a country, the greater their power over their people to the extent of forcing them to comply with the laws they would impose. Have we learned nothing from the Middle Ages and the incursions in Europe? And I’m not totally against Israel, just think they should fly on their own and quit playing us, especially the Israel-firsters who choose to live in the US and are scattered throughout the US government, communications, entertainment, universities, finance, many, many positions of influence, by design it seems. I see the Muslims as a threat to our country and way of life, too. We can’t shake off their hold on us. The Fed is too entrenched in our whole financial system. You see what is happening over trying to get some control over legal immigration, just try to imagine what would happen is Trump tried to end the Fed. It’s a huge network of Federal Reserve branches who totally control every facet of banking, the coining of money, and financial transactions. Not gonna happen. Kushner is pure conflict of interest. In a fair world the media would demand his downfall and Trump would legally have to comply and get rid of him. Maybe that has been Trump’s plan after all. But the Jew boy media doesn’t care if you break American law on behalf of Israel, so even if its conflict of interest, and even if its illegal, they won’t do anything about it. And Kushner, like illegal immigrant Barack Obama, will be kept in power until the bitter end. DT is on the way out soon. The Rothschild led NWO will not tolerate the risk of him for long. Have you ever heard of people lying? Have you ever heard of people doing things for “show”. You know, so that it makes them “look” like they are doing the right thing or that they care. Do you know anybody like that? If the deep state wanted to fool you and everyone else that Trump is your guy: all the other Christians and everyone else that was a supporter….wouldn’t you think there could be a little theater involved? I mean come on dude. Lucifer can show up at a church and pretend too. The machine wants you to not only believe what you hear, but also what you see. Quite frankly, how much can we believe of things we actually see at this point? Much less hear? They have fake shootings using air guns. They stage events. I live by only believe half of what I see, and nothing that I hear. Pretty simple way of life there. President Trump’s inauguration speech was written by two of the president’s closest aides and not Trump himself, the Wall Street Journal reported Saturday. A White House official told the Journal that Trump’s chief strategist Steve Bannon and senior advisor Stephen Miller penned the address. Aides claimed before the speech that Trump was writing it on his own, and Trump even posted a photo to social media of himself with a pen and a pad that he claimed showed him writing the speech. The speech struck an unusual tone for inaugural addresses. In it, Trump depicted the U.S. as a country ruled by a selfish political class and struggling to find its footing in a dangerous world. Bannon, [”Proud Zionist,” “Friend of the Jewish People,” “Defender of Israel”] the former executive chairman of right-wing Breitbart News, is considered by many to be a controversial pick for Trump’s White House strategist because of his ties to the conservative website. [Sneaky way to boast on yourself, Bannon for co-writing the thing, and pumping yourself up as a “patriot”. Your junk speech compared to the incomparable Andrew Jackson? Pffft. So, the Court Jew Kushner wrote Trump’s AIPAC speech, and now two “advisors,” a Jew and a near-Jew, wrote Trump’s inauguration speech. Now you, Bannon, are on Trump’s non-elected, personal National Security Council, replacing both the Director of National Intelligence and the Joint Chiefs of Staff as Principles. Now I read that CIA Director Mike Pompeo would be added to the top circle of Trump’s national security advisers. ]. Miller wrote most of Trump’s prepared speeches throughout his presidential campaign, and was tapped last month to pen the inauguration address, according to a Politico report. Trump has great experience as a showman and entertainer, and has heavy ties to Hollywood entertainment and finance. The tweeted photo of Trump writing his speech has also been debunked as occurring at a reception desk at his Mar-A-Lago resort. Most of Donald Trump’s inauguration speech was not written by him - as he suggested in a tweet - but by two of his top advisors. Two days before his inauguration, Mr Trump tweeted a picture of him seemingly writing his speech three weeks before at the Winter White House in Mar-a-Lago. But a White House official said much of the speech was actually written by Stephen Miller and Steve Bannon, according to the Wall Street Journal. During Mr Trump’s campaign trail, Mr Miller prepared most of his speeches and last month, Politico reported that as senior advisor for policy, he would be in charge of writing the inauguration address. “I don’t think we’ve had a speech like that since Andrew Jackson came to the White House,” Mr Trump’s chief strategist and senior counsellor Mr Bannon, told the Wall Street Journal. “It’s got a deep, deep root of patriotism. It was an unvarnished declaration of the basic principles of his populist and nationalist movement. It was given in a very powerful way,” he added. Trump looking presidential at the Mar-A-Lago receptionist desk. Read Frederick Raphael’s Eyes Wide Open in which he writes that Kubrick said regarding the Jews that Hitler had nearly everything right. It goes beyond legitimacy and as you said opens the door for all the cloak and dagger every country engages in including assassination, espionage, bribery, blackmail and even war. With the central banks under their control, America and its military and nuclear power virtually Israel’s own, world leaders have reason to be afraid of the Jew. Putin knows the game and has the courage to stand up to the sandlot bully and China is coming alongside as well. Keep praying for the Russian Orthodox Church and Putin. My attempt to enlighten them on Paul’s words of the “natural branch being cut off” and Jesus’ words of the “cursed fig tree” and their “house left desolate” falls on deaf ears. Most Christians are in love with modern Israel and the Jews. Everywhere I look I see “we stand with Israel” flags and banners in yards and even churches are adorned with Israel flags and banners. Keep up the good work Bro. Nate as you are a breath of fresh air. You are in my prayers and I support your work financially. I do wish more readers would contribute to you. I share with people who will listen to me to bookmark your website; and that I have visited you when you lived in Colorado) and can personally say that you are the “real deal” (not that you need my endorsement) and spread the word. Please…keep up your diary entries and let us in on your thoughts. Washington, D.C. – While President Trump was publicly mourning the death of a SEAL Team 6 member, and several others wounded in the raid on a compound purported to harbor al-Qaeda officials, reports from Yemen indicate that as many as 10 women and children were also killed in the raid. As usual, public reports in the corporate mainstream media failed to acknowledge any of the civilian deaths, after the U.S. military initially denied that any civilians were killed in the raid. In a hideous symbol of the bipartisan continuity of U.S. barbarism, Nasser al-Awlaki just lost another one of his young grandchildren to U.S. violence. On Sunday, the Navy’s SEAL Team 6, using armed Reaper drones for cover, carried out a commando raid on what it said was a compound harboring officials of Al Qaeda in the Arabian Peninsula. A statement issued by President Trump lamented the death of an American service member and several others who were wounded, but made no mention of any civilian deaths. U.S. military officials initially denied any civilian deaths, and (therefore) the CNN report on the raid said nothing about any civilians being killed. But reports from Yemen quickly surfaced that 30 people were killed, including 10 women and children. Among the dead: the 8-year-old granddaughter of Nasser al-Awlaki, who was also the daughter of Anwar Awlaki. Award-winning investigative journalist Jeremy Scahill – who extensively interviewed the grandfather, Nasser al-Awlaki, in Yemen for his book and Oscar Award winning film “Dirty Wars” – tweeted that the child’s grandfather informed him that she was “was shot in the neck and killed,” with the child subsequently bleeding to death over the course of two hours. In 2011, the now-deceased eight-year-old’s father, Anwar al-Awlaki, a U.S. citizen never charged with a crime, was assassinated by a drone strike in Yemen. Although designated an al-Qaeda terrorist by the U.S., the killing of an American citizen without due process was extremely controversial and led to a lawsuit against the Obama administration that was subsequently dismissed by the court. Only two weeks later after the killing of Awlaki, another CIA drone strike in Yemen killed al-Awlaki’s 16-year-old son, Abdulrahman, also a U.S. citizen – and not a suspected terrorist – in addition to his 17-year-old cousin and a number of other innocent Yemenis, reported Greenwald. What a beautiful little girl she was. Nora al-Awlaki, dear beautiful little girl, I shall remember you. As “collateral damage” you won’t become the West’s ultimate propaganda stunt like Bana al-Abed in Aleppo, but I will remember you for many reasons, the first of which is that your death bears vital witness to Trump’s first two weeks in office, the further erosion of any Christian soul and morality that America might have left. The Greek word for witness is “martyr”. And you, little Nora, will stand before God and bear witness against Trump. I shall remember that Trump has now killed in Yemen the innocent 8 year old daughter — and US citizen — of US citizen Anwar Awlaki that Obama assassinated on mere allegations, without due process and without trial back in September 2011, along with other women and children. I shall remember your brother, too, Nora. Now he must bear even more grief with the murder of his granddaughter and certainly members of his tribal family in Yemen. For the RJN record, Al-Awlaki’s father, tribe, and supporters have always denied his alleged associations with Al-Qaeda and Islamic terrorism. The Yemeni government attempted to get the tribal leaders to release al-Awlaki to their custody. They promised they would not turn him over to US authorities for questioning. The governor of Shabwa said in January 2010 that al-Awlaki was on the move with members of al-Qaeda, including Fahd al-Quso, who was wanted in connection with the bombing of the USS Cole. Where was the corroborating evidence that al-Awlaki was with al-Qaeda? Because he was a US citizen, al-Awlaki’s extra-judicial murder had to be approved by the National Security Council. Such action against a US citizen is extremely rare. As a military enemy of the US, al-Awlaki was not subject to Executive Order 11905, which bans assassination for political reasons. Innocent until proven guilty? Jewmerica, “the exceptional nation,” has been killing and aggressively conducting and orchestrating wars in the Middle East, Africa, Central Asia, and Central and South America since WWII. What was Al-Awlaki’s crime? Lecturing on the religious justifications for Muslims to defend themselves in their various countries in an assymetrical war of resistance against a far more powerful enemy. Does not Western Christianity have the so-called “Just War Doctrine” to justify wars and aggressions? Except for his Arabic name and olive skin, you couldn’t tell Abdulrahman was any different from any American 16-year old male computer geek. By law, the child of a US citizen is a US citizen whether born inside or outside the country. Anwar al-Awlaki was natural born US citizen born in Las Cruces, New Mexico. His late son was born in Colorado. I’m not certain where Nora was born, but I believe in Yemen, but it makes no difference. A person is a natural born citizen if they were born on US soil, or if one parent is a US citizen born on foreign soil. For people in the Middle East, there is no end to the Western-driven terror, murder and mayhem of asserting Jewmerican hegemony and NWO. Now both of Anwar al-Awlaki’s innocent children, his late 16 year old son, Abdulrahman (”servant of the Merciful”), a US citizen and all-American kid, whom Obama vaporized two weeks after in 2011, and now his 8 year old daughter, Nora, also a US citizen, murdered by Trump, President of the United States of Israel (POTUSI). Thanks to Obama, the US government is more than willing to murder civilians by remote control. And now Trump proves that the US government is more than willing to murder US citizens, and eventually it will matter not whether it’s on US soil or not. And it’s our freedom “they” hate, right? Just like Palestinians hate Jews just because they are Jews. Think about this, fellow Americans. If the US government can kill a 16-year old American boy in a drone strike or an 8-year old American girl murdered by a vengeful, secretive, global manhunting machine with minimal outside oversight known as Seal Team 6, then is any American safe inside or outside of our country? Obama could name anyone a “terrorist”, including US citizens, and mark them for extra-judicial murder. Not even the ACLU could prevail over that one during the “liberal” Obama war adminstration for Anwar al-Awlaki’s civil rights. Trump has inherited a huge amount of presidential power and a police-state, military-driven executive developed by the Bush Dynasty, Bill Clinton, and then Obama. The New York Times yesterday reported that military officials had been planning and debating the raid for months under the Obama administration, but Obama officials decided to leave the choice to Trump. Do you recall Trump’s campaign vow to “kill the family members of terrorists”? Although he used “ISIS” a lot, he was just using that as a rhetorical focus. To him, Palestinians are “terrorists” because all the Jews say so. Iranians are “terrorists” because they put up a fight against Jewmerican hegemony. And “terrorist” is such an open ended word open to many interpretations–remember when the scare came out about conservative “domestic terrorists” during the first term of the Obama administration? Don’t expect it to change. Palestinians who, for 100 years, have been justly resisting the Israeli occupation of their state and invasions of their homes by whatever feeble means possible (rocks, vehicles, hand manufactured rockets), and retaliate against the vicious, brutal and violent IDF, security police and paramilitary Settlers who murder, maim, imprison Palestinian men, women, and most especially children, then subject them to collective punishments, are also called “terrorists”. The only ones not called “terrorists” now, but who are responsible for a great deal of terrorist activity in their history are the Jews, particularly in the Bolshevik Revolution, and then the terrorist wars by the terrorist thugs like Irgun against the British Mandate in Palestine, the Palestinians, Arabs and anyone else who got in their way to form their Terrorist State. A “terrorist” will be anyone that Trump, or his Jew-masters says is a “terrorist”. And little Nora, even though you are Muslim, you have every right to complain to Jesus about what Trump, and Jewmerica just did to you and everyone you loved. Read the book titled “The Transfer Agreement” by Edwin Black. The Zionist forced Nazi Germany in 1933 to accept the Transfer Agreement, which was based on the rich German Jews volunteering to leave Germany and to emigrate to Palestine. Nazi Germany made money in this agreement by providing transportation for these rich German Jews to travel to Palestine and also transportation to deliver infrastructure from Germany to Palestine, which the rich German Jews paid for. What is not mentioned in this book is what actually motivated these many rich German Jews to want to emigrate to the desert lands of Palestine which had very little infrastructure, and where these rich German Jews would then be required to fight for their survival in this wilderness land. I think that this is an example where the Zionist were somehow involved in promoting the Nazi persecution of their fellow German Jews, in order that Nazi Germany would then have lots of profit making business within this Zionist Nazi Transfer Agreement, by providing motivation for many rich German Jews who “so-called volunteered” to emigrate to Palestine with Nazi Germany’s profit making help. In order for the Zionist to take eventual control of Israel in 1933, the Zionist needed to increase the population of Jews in Palestine, and also the Zionist needed a great persecution against the Jews in order to justify the existence of a new homeland for the Jews in Palestine. Episode 1: Law? What Rule of Law? I Make My Own Rules. I Don’t Need No Stinkin’ Laws. The Kosmos Orbits Around Me! Get Used to It! Donald Trump fired the acting US attorney-general on Monday night for opposing his controversial travel ban, as he faced growing protests against the restrictions from business leaders and demonstrators and intervention from Barack Obama. Sally Yates, the acting attorney-general, had ordered subordinates at the Department of Justice not to defend Mr Trump’s policy in court. A statement from the White House said that Ms Yates had “betrayed the Department of Justice by refusing to enforce a legal order designed to protect the citizens of the United States”. It added: “Ms Yates is an Obama administration appointee who is weak on borders and very weak on illegal immigration. [People trying to come from those “seven places” as refugees and on visas already go through years, sometimes 10 or 15, of process and vetting by the State Department overseas, and the US Citizenship & Immigration Service. The White House said the president had named Dana Boente, US attorney for the Eastern District of Virginia, to serve as acting attorney-general until Senator Jeff Sessions was confirmed by the Senate “where he is being wrongly held up by Democrat senators for strictly political reasons”. The move came during a day of rapidly moving events surrounding the immigration clampdown, during which Mr Obama spoke out against Mr Trump’s immigration clampdown, intervening just 10 days after leaving office. The former president intervened in a sign of escalating political controversy in Washington. “American values are at stake,” said Mr Obama, who had promised Mr Trump that he would only intervene in public debates if “our values and our ideals” were threatened. “The president fundamentally disagrees with the notion of discriminating against individuals because of their faith or religion,” said Kevin Lewis, Mr Obama’s post-presidential spokesman, without mentioning Mr Trump’s travel ban specifically. The former president’s statement came as the backlash against his successor’s ban on people from seven Muslim nations entering the US intensified among the nation’s governing and business elite. Ms Yates had ordered subordinates not to defend Mr Trump’s policy in court. “I am responsible for ensuring that the positions we take in court remain consistent with this institution’s solemn obligation to always seek justice and stand for what is right,” Ms Yates wrote to department attorneys. [Despite the fact that Yates is a registered Democrat, she is, in fact correct. An executive order over an administrative agency is not law, and she is responsible for upholding the law, which is legislated by Congress. Trump did not consult with any legal authority within either the State Department or US Citizen and Immigration Services, Border Patrol or any other agency competent knowing how things get done]. The extraordinary statement by Ms Yates, a holdover Obama appointee, was largely symbolic. Once Senator Jeff Sessions is confirmed as attorney-general, which could happen on Tuesday, the department’s position would probably shift. But it represents a striking demonstration of the yawning gap between the federal government’s workforce and a president who is yet to complete his second week in the job. Adding to the sense of crisis, more than 100 career foreign service officers signed a cable dissenting from the new policy, which prompted Sean Spicer, the White House press secretary, to demand that they either endorse Mr Trump’s approach or leave government. “I think that they should get with the programme or they should go,” Mr Spicer said. He suggested the White House could extend the ban beyond the 90-day review period. The chief executives of US companies including Coca-Cola, Ford and Goldman Sachs, meanwhile, joined those criticising the restrictions. Amazon chief Jeff Bezos said the retailer was exploring legal options to oppose the move. Mr Trump earlier on Monday blamed airlines, the media and Democrats for the international uproar. [Anybody but himself, because he not only refused to get guidance, he wanted it to be a surprise for the Border Patrol, too]. The restrictions wreaked havoc at the weekend as airlines around the world were forced to turn away passengers from the seven designated nations. More than 100 refugees and immigrants were detained at US airports because of the presidential order implementing the first stage of Mr Trump’s extreme-vetting programme. “Only 109 people out of 325,000 were detained and held for questioning. Big problems at airports were caused by Delta computer outage, protesters and the tears of Senator Schumer,” Mr Trump tweeted. [And not the fact that he pulled a snap EO with no advance policy and procedural preparation whatsoever for the agencies affected]. Mr Trump has chafed at suggestions that he has enacted a ban on Muslims, even as he suggested that Christians from the seven countries could receive priority when applying for refugee visas. But his team has failed to explain why countries such as Saudi Arabia and other predominantly Muslim countries where some of the named 9/11 hijackers came from were not included on the list of targeted countries. If the ban were announced with a one week notice, the ‘bad’ would rush into our country during that week. A lot of bad ‘dudes’ out there! The White House is also pushing back against claims that the executive order — which targets citizens of Syria, Iraq, Iran, Sudan, Libya, Somalia and Yemen — was implemented with little guidance. Mr Trump said it was imposed on short notice to avoid tipping off terrorists targeting the US. “If the ban were announced with a one week notice, the ‘bad’ would rush into our country during that week. A lot of bad ‘dudes’ out there!” he tweeted. Mr Spicer claimed that media reports of people being affected by the ban on Saturday were “blown out of proportion”. “It’s a shame that people were inconvenienced but at the end we’re talking about a couple hours,” he said. The chaos comes days after Mr Trump sparked a foreign policy crisis by tweeting critically about Mexico, prompting its president Enrique Peña Nieto to cancel a visit to the White House. While Republicans on Capitol Hill have been publicly supportive of Mr Trump since his inauguration, privately some are expressing concern about the way his team is making policy with little input from federal agencies. Mr Schumer has called on Mitch McConnell, the Republican Senate majority leader, to allow a vote to reverse the restrictions outlined in the executive order, although congressional aides suggested a vote was unlikely. The tighter immigration rules have attracted rebukes from foreign leaders including Angela Merkel, the German chancellor, and belatedly Theresa May, the British prime minister. Iran announced that it would implement a reciprocal ban on Americans entering the country. And the Iraqi parliament has called on the government in Baghdad to retaliate against the US. Many security experts in the US have argued that the ban will fuel terrorism by providing terrorists with an anti-US placard to rally more supporters. While many Trump supporters appear to support the ban, which is a watered-down version of the blanket ban on Muslims that Mr Trump proposed during the campaign, the executive order prompted the outcry around the US particularly after it appeared that green card holders — permanent residents of the US who are not citizens — were affected. John Kelly, Secretary of Homeland Security, issued a statement on Sunday evening that green card holders would not be affected by the new rules. But companies, human rights groups and other organisations were all scrambling to clarify who is affected. Currently in my town there is a lot of holocaust denial topics going on in the media. Small articles in local newspapers, interviews on radio talk shows. There usually isn’t a way to reply or respond. However if you can leave a comment about maybe the holocaust didn’t happen they way society is being told, then you get called an anti-Semite or argued with. The holocaust denial subject is being amplified, so obviously certain people may be getting nervous. I’m wondering if this is going on in anyone else’s town? Trump’s next wall is going to have to be along the Canadian border and Canadians are going to have to pay for it because the first thing people from hot third world countries do, after they have spent the winter in Canada, is head south to live whether as legals or illegals, and now Turdeau has opened the flood gate. The only reason third worlders go to Canada is to plug into the free health care system. I once had a contract writing press releases for the Ontario Ministry of Health and so was privy to conversations about $financial problems the ministry faced. The two bigs one were AIDs and foreigners pluggging into the health care system. At the time I was there there were 17 million people on Ontario Health Insurance and only 6 million residents in Ontario, and that included kids and people who did not finance the system. Most of the illegals came from Detroit but there were for example 250,000 from Lebanon who only came to Ontario for operations and that kind of thing. Plane loads of such people arrive in Lester Pearson Airport in Toronto every day and Canadian Anglos pay all their bills. Since multi-culturalism became popular, the biggest cost to the City of Toronto is now the police. AIDs was another problem because the life support treatment is expensive so everybody in the world with AIDs tried to plug into the Ontario health care system. I once watched a lady in a school in Tanzania lecture the locals on how to milk the Ontario health care and welfare system. I was in the school at the time because I paid for the desks out of my pocket. Ontario is bankrupt. It now has more debt than California and California has a larger economy than all of Canada. The man in charge when Ontario crashed out was Bob Rae (real last Name Levy)–Ontario’s first Jewish premier. Although I cannot prove it I would not be suprised to learn that the debt is held by Jewish Bankers in New York, as is most of the debt of newspapers in English speaking Canada. Pretty easy to make the Talmud come true and turn people from Ontario into perpetual debt slaves to Jewish bankers. All you have to do is give the big unions like the police and teachers’ unions all they want, and when the economy crashes out go to the Jew Boys for a loan that you pass on to the citizenry, thus making sure ever newborn baby is born into debt. That is what the Young Trudeau is doing with the whole country now and his connections are pretty unsavoury. One member of his father’s privy council was the recently departed gangster Maurice Strong who was caught taking a $million dollar bribe in the UN’s Oil-for-Food scandal. Strong invested money for Jimmy Hoffa who used his union funds to finance Jewish owned, organized crime, gambling casinos in Los Vegas. Strong also invented global warming. He allegedly died recently and there has been no word about where he died or what he died of. Very strange. At one time there was a warrant out for his arrest. Maybe he really isn’t dead? Nobody ever discusses Strong’s strong financial bond with Jimmy Hoffa. I learned about it from a reporter at the Toronto Star. Trump only hires political hacks from inside Washington. He is playing on the sentiment of American dummies, who think they are great and the world needs to recognize. In the meantime……. Here is a scenario of why he is president: He is the king of bankruptcy. America is bankrupt. Trump will preside over a massive financial crisis and Whitey will get the blame, to never ever get their hands at the wheel again. He is making some drastic changes, so it looks like that is what caused the bankruptcy, even though it was baked in the cake before he became president. The headline reads “UK leads the way in countering non-violent extremism”. This is what happens when you are the HQ for the Rothschild banking cartels and become one of international Jewry hit-men. Jewish controlled UK M.S.M. are also at the forefront of calling Europeans racist for resisting the immigration tsunami without mentioning that the cause of this problem are the Jewish neocons who control US foreign policy and that the principal beneficiary of this foreign policy — Israel — never takes in one victim of the chaos they have directly and indirectly caused. Unless people read a website like this one or unless historical revisionism goes mainstream they will have no idea where their problems are actually coming from. They will continue to think that BREXIT is the sole solution without understanding that their enemies are actually much closer to home. Yes, because they do not believe on Jesus, they do not have their sins forgiven, nor do they cease from their sin. And they will reap the full experience of the consequences of that. Of righteousness, because God is alive and real. And He will prove he rewards those who do His will and are faithful, as Jesus was. And God’s judgement is true and most serious. He does not allow for wickedness. Nor play around with it. The Father of the lie is already judged. Now we can watch as the book of Revelation is fulfilled before our very eyes. Local politicians of Cincinnati, Ohio have recently declared it a “Sanctuary City” for rapists, murderers, drug dealers and terrorists coming from Mexico, Africa and the Middle East and are calling Donald Trump a Nazi and KKK. They are mostly Black Democrats, Talmudic Jews and their White liberal lackeys and Shabbos Goys (useful gentile idiots). A Jewish slumlord who lives on a nice street of the nearby town of Loveland has a large apartment building in the old White Christian neighborhood of Westwood in Cincinnati. He likes bringing criminals into his apartment building to help destroy the neighborhood. Although the Cincinnati police in the past have protested his activities, they stopped short of calling him a Jew because that would be anti-Semitic and would have put a flashlight on the 400 pound Jewish gorilla in the middle of the room. Local Christian church leaders believe that they can make some good Jew money for their churches by helping bring foreign and illegal rapists, drug dealers and gangsters to this “Sanctuary City” and would prove that they are not anti-Semitic and racist, and certainly not Trump supporters. Thanks for writing some truth about sanctimonious Kanada. Note: fewer and fewer people on the world stage are buying the goody goody storyline. It has been the prototype for Globalism since egomaniac Pierre Trudeau (Club of Rome Member). Their highly controlled craven media is in constant thrust to disparage and denigrate caucasian men both there and abroad. Most people are clueless as to why. It will be interesting to watch the bloated bureaucracy there implode as the bond market collapses in the next year or so. Until April 2016 I had never studied up on who really ran our country and most of the world. The lying mainstream TV and Radio news of America made me and a few million other Americans decide to go to the internet/books etc… to find some truth. 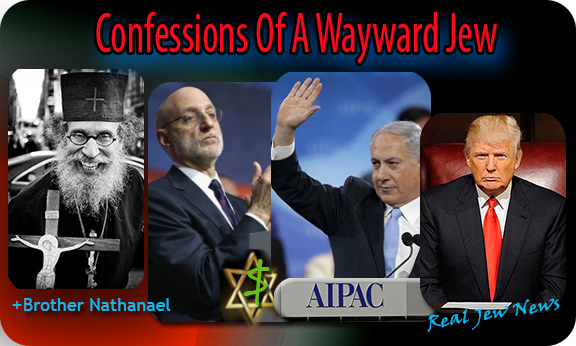 I have tried valiantly to expose the Jewish (and British) influence on our world, esp the USA. I have been called “hater,” “anti-Semitic” and had folks I’ve know all my 65 years disassociate with me. Maybe 1 in a hundred has woke up. Hate to say it, but America is so full of stupid gullible Goyim, I hold little to no hope for them. They are utterly brainwashed. Is there any good suggestions on how to get the MAJORITY of Americans to see the light? World wide degeneration of the mass Populous. My father used to recall the sincere & genuine folk of Canada. His Massachusetts-built warship HMS Duckworth paid a visit to Vancouver during WWII. He spoke of Canadians warmth & hospitality, of ratings being welcomed into their homes to enjoy sumptuous dinners/teas. Together with the glorious scenery of British Columbia it was a memorable `holiday` from the Arctic Convoys & Battle of the Atlantic. Of the Canadian chappie who visiting the big city would come down from snow clad mountains to the bus stop leaving his snow shoes & boots at the bus stop, quite confident they would be there on his return. How sad it is a country as decent as Canada has become (from what I’m told) as of others in this sick world. Myran Fagin was a Jewish playright. In his article he states 500,000 Jews died in the holocaust. They died from typhus — since there was a typhus epidemic in the concentration camp, and malnutrition. The gas chambers were delousing chambers for the typhus epidemic. Therefore there were no gas chambers for killing Jews. Everything is a big LIE. “The Illuminati” is filled with a great deal of good information. The Independent Institute is an American libertarian conservative think tank based in Oakland, California. Its stated mission is “to boldly advance peaceful, prosperous, and free societies, grounded in a commitment to human worth and dignity. Something to keep in mind is that Europe’s problems are not America’s problems, and is where perception is being manipulated. The reality is that the Muslim migration started long before the crisis in Syria. In fact it grew as a result of an influx of foreign workers from taking advantage of lax guest worker programs after the Second World War. And whose responsibility was it to administer the guest worker programs in a disciplined way? Originally meant to be temporary, these workers became permanent and brought with them waves of descendants. Once settled these immigrants did what first generations immigrants do: they had babies. As a result the Muslim population has been steadily growing, not from immigration but by births. The increase in the number of Muslims is a pattern that is expected to continue through 2030, when they are projected to make up 8% of Europe’s population. Even though the population has been steadily growing the consistent poverty has contributed to racial tensions between Muslims and Europeans even well before the Paris attacks. Unlike Europe, the US has a very different track record with Muslim immigrants. According to the Pew Research Center  there are 3.3 million (or 1% of the population) Muslims living in the US. Furthermore, in the US Muslims make up 10% of US physicians, are the 2nd most educated group after the Jewish population, are as likely as other American households to report an income of $100,000 or more, and over 6,000 serve in the military. Unlike European Muslims the report also found that 80 percent of US Muslims were happy with life in America, and 63 percent said they felt no conflict “between being a devout Muslim and living in a modern society.” [This, six years after 9/11]. Lastly, most telling of their loyalty and sense of inclusion, according to the Pew report, is that half of all Muslim immigrants display the US flag at home, in the office, or on their car. How Many Americans Have Refugees Killed? Last week President Trump issued an executive order that suspended new refugee admissions for the next 120 days. The order capped the total number of refugees allowed into the United States this year at 50,000, about half of what was allowed under Obama. Travelers from seven nations—Iraq, Iran, Syria, Yemen, Sudan, Libya, and Somalia—are banned for 90 days. The order sparked a wave of protests and litigation. The ACLU sued in Brooklyn over the detention of two Iraqis at JFK airport. On Saturday, Judge Ann Donnelly issued an emergency stay, blocking the deportation of some 200 people. She cited “irreparable harm” as part of her decision. Photos of lawyers sitting on the floor at major airports circulated around social media as hundreds of attorneys filed emergency habeas corpus petitions on behalf of detained travelers. It’s known that UMass Dartmouth professors were detained under the order. They have subsequently been released. A Clemson PhD graduate was taken off her flight in Dubai and not allowed to reenter the States, where’s she’s lived for several years. She’d been visiting family in Iran. There’s a lot to be said about this ban. As noted above, the legality of the order is already in question. Others have pointed out (I think rightly) the hypocrisy of the left. While they have rallied against Trump’s order (again, I think rightly), they failed to so much as raise a finger in protest when Obama effectively turned away Cuban refugees in the last days of his presidency. Still, others have called the order “a ban on Muslims.” While I think there may be some truth to that designation, given Trump’s political rhetoric, it’s difficult for me to call this a ban on Muslims, when a host of other predominately Muslim countries are not covered under the ban (e.g. Egypt, UAE, Saudi Arabia, Afghanistan, etc.). When pressed about the basis for the ban, White House officials cited concerns regarding terrorism. The ban is supposed to be in place until more stringent vetting processes can be implemented. The fact of the matter is that refugees entering the United States already face a remarkably long and complex vetting process. The United Nations, the State Department, the FBI, and Homeland Security review each case. The process is some 20 steps long and can take years. When you’re waiting in an overcrowded refugee camp, or living in a region torn apart by conflict, that’s a long time to wait. But let’s suppose that refugees aren’t your primary concern and that, like the White House, you’re concerned about the possibility of terrorists entering the United States as supposed refugees. Let’s bring out some numbers, shall we? According to the Cato Institute, the United States admitted 3,252,493 refugees between 1975 and 2015. Twenty of them were terrorists. This represents some 0.00062 percent of all refugees. Only three attacks carried out by these refugees were successful. In total, in a span of forty years, “terrorist refugees” have killed three people in the United States. But what about the attacks in San Bernardino, the Orlando Pulse Nightclub shooting, the Boston Marathon bombings, and 9/11? Are these not “proof” that such a ban is warranted? After all, the individuals responsible for the attacks had some connection to foreign countries. The Pulse Nightclub shooter was born in New York and was a U.S. citizen. Of the two San Bernardino shooters, one was born in Chicago. The other, his wife, was born in Pakistan and lived in Saudi Arabia—neither country is on the “banned” list. The Tsatnaev brothers, responsible for the Boston bombings, were born in Kyrgyzstan. People from Kyrgyzstan aren’t banned under the current executive order. Of the 19 people [officially named as-Kj] responsible for hijacking four airplanes on 9/11, 15 were from Saudi Arabia, two were from the UAE, one was from Egypt, and one was from Lebanon. Again, these countries aren’t on the “banned” list. And my personal favorite—toddlers. Yes, you are more likely to be killed by a gun-wielding toddler than a terrorist. When discussing whether or not to undertake a policy, I tell my students we must consider the benefits and costs. In this case, we can say that the supposed benefit is practically zero. For such an avid family man whose ambitious success has materialised, it surely will weigh heavy on his conscience that promises of destroying certain terrorists should have resulted in the slaughter of such innocents as did so recently & so early in his administration. Read KJ’s memorial to eight year old Nora. It remains to be seen what effect if any this barbaric atrocity will have on the conduct of future special ops. Trump needs to recognise & repent before God and his nation for this heinous crime. if the Jews can’t kill ‘em and take over, then flush ‘em into European countries. And alot of the “churches” in the U.S.A are pro-Zionism, pro-Israel, and pro-everything Jewish! And you can also see all of that by just watching the so-called “Christian” TV channels here in the U.S.A.! pro-Zionism, pro-Israel, and pro-everything Jewish men on there calling themselves rabbis even though they claim to be “Christians”, wearing yarmulkes, wearing that traditional Jewish men’s prayer shawl with the blue stripes and fringes (even black men) menorahs as a part of the studio decor when they are having their Biblical/religious teachings and discussions. “Jewish jewels” used to come on one of those televangelical channels. Miles Mathis disagrees. He says he checked Trump’s ancestry and found some Jews. But lots of people have Jewish ancestry and don’t really know it so maybe it doesn’t matter. What do you think of this? Is Mathis right or is he deranged, lying, or just plain wrong? What is important is that the USA has ALWAYS been fighting on the wrong side. In WW1 America’s entry forced Germany to support Lenin and his Bolsheviks, in exchange for taking Russia out of the war. In WW2 we fought and died for Joe Stalin and his Bolsheviks giving him most of central Europe and North Korea in 1945. In the 60’s and 70’s, 58,000 young Americans ( mostly conscripts) and millions of Vietnamese died for absolutely NOTHING. Then came the Project For A New American Century which outlined US intention to destroy 7 countries in the Middle East and North Africa. Of the 7 only Iran and a very small part of Syria are left to destroy. Throughout the past 100 years “fake news” and “false flag operations” have played a very prominent role in deceiving America and their Allies. And one more thing you should not forget is that the USA and its allies hold all the world records for the intentional and indiscriminate slaughter of women and children. Dresden, Hamburg, Tokyo Hiroshima, Nagasaki, and over a 100 other cities in Germany and Japan — and Vietnam and the Middle East. etc. In WW2 our message to the Germans and the Japs was — our new technology (the firestorm and later the A bomb) enables us to hold your women and children as hostages. We will indiscriminately slaughter them by the tens of thousands until such time as you UNCONDITIONALLY SURRENDER. Yes I’ve discovered the enemy AND THEY ARE US. Indeed we are the greatest and most barbaric war mongers the world has ever known.